FILMMAKER IN ATTENDANCE Every year, more than 100,000 track and field fans flock to the Penn Relays – a three-day track and field carnival that hosts nearly 20,000 runners at all levels of competition. 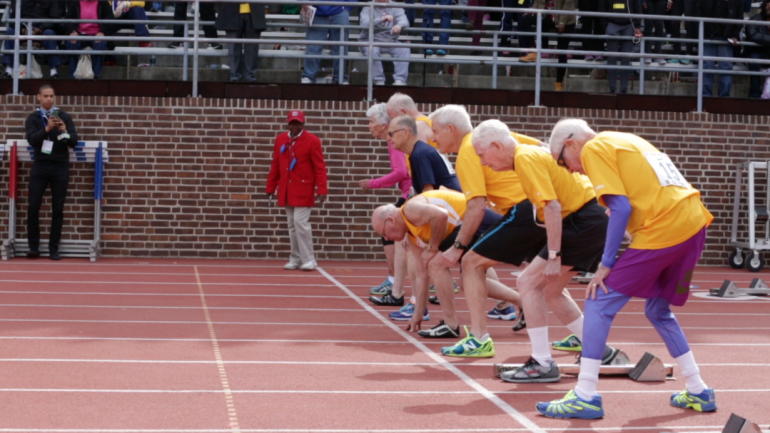 On Saturday – the premiere day of the Relays – one race stands out from the rest: the Masters Men’s 75-and-older 100m dash. Run since 1989, this event has become a crowd favorite at the Relays.